That leopard top is a great fall staple! I like the idea of the white bag for fall. It's a bit different, but I can see that being a fun touch to an all black outfit. Yes, it's one of my favorite shirts and the leopard is just so perfect and the white bag is no considered "ok" for fall and like you said, worn with all black would look so cool! Okay woman you are going to drive me bananas with all these Ah-mazing sales! 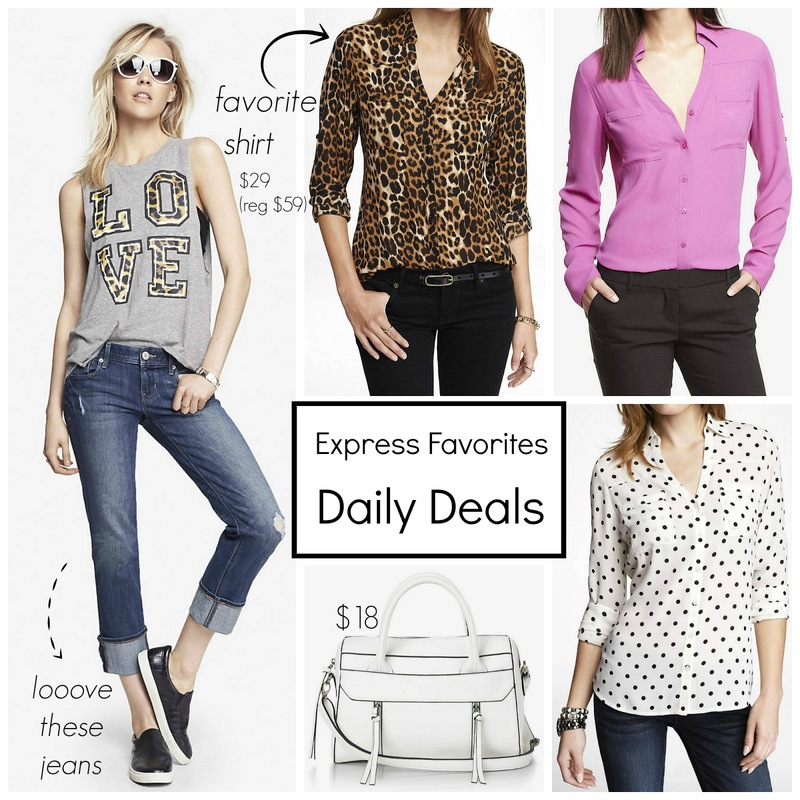 I have been dying for the black piped Express top that is also on sale...thanks for the tip! You know I am depending on you to provide us the next best steal! Thank you!! Haha, too many deals right now, just wait until Labor Day! ;-) I know exactly what top you are talking about and love it too, keeping my eye on it for you! Thank you Helen and I know what you mean about being tempted, but sometimes it's a good thing when a store is not where you live, Lol. I wish you could see the shirts though, I could easily buy a dozen, heehee.